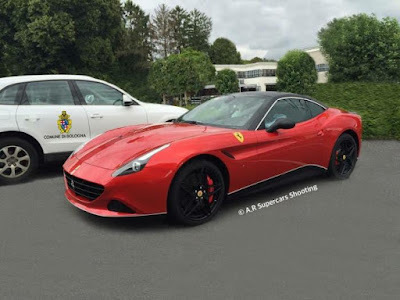 A unique Ferrari California T and is believed to have the name "Vettel Edition" was recently seen in Bologna, Italy. This unique Ferrari California T also believed to be one-off model. It made by Ferrari's Tailor Made division and combine red body with black for the roof, rearview and side skirts which also has white trim. The prancing horse logo on the front fender has the same position as the F1 car, while the black wheels combined with red brake calipers. 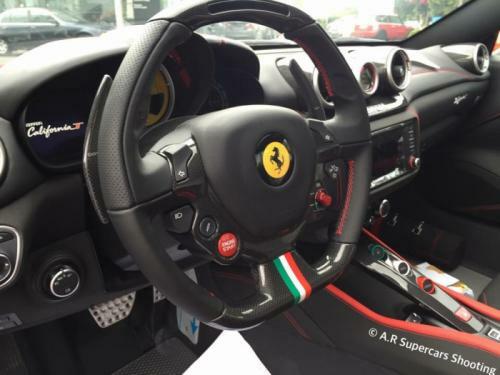 Stepping inside the cabin, the car adopts the black and red theme with the colors of the Italian flag on a flat-bottomed steering wheel and on the "R", "Auto" and "Launch" in the middle column. 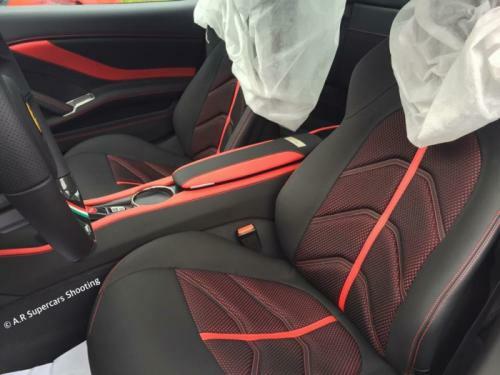 Although not too sure, on the passenger side seems to have an optional fire extinguisher kit that is enclosed in a box wrapped in black leather with red stitching.